We have a new Bond and it’s Timothy Dalton’s turn this time (Oh a new Moneypenny as well). I must admit that I had been looking forward to this one as had heard that Dalton was very different to Moore and I thought it was tough getting through all of his films. It turned out that I enjoyed this first outing by Dalton. I mean come on Bond at a fairground and on a big wheel? That was pretty cool and so very un-Bond a date at a fairground? But he had the tux on so that makes it all ok.
Another very good thing I wasn’t expecting was John Rhys-Davies and that excited me to see good old Gimli as a Bond villain. Yes absolute Lord of the Rings geek here. Let’s face it though he was very good and with two bad guys and not sure who is on whose side quite a lot it did make for some rather interesting viewing. Dalton has a different edge as Bond and that was something I think the series needed. Moore was getting way to camp for my liking and I think we got a more manly man with this film. He has more of a brutal edge, which was pretty refreshing. I have a feeling Brutal is going to be another level in Licence to Kill though, hello 15 rating. Anyway the film does still keep the formula and why not as we expect a Bond film to contain certain things and scenes. I am ok with that as it does make them different from other films in the action genre. Brad Whittaker is a very good Bond bad guy and has everything you would expect, the henchmen, the charisma and the ruthlessness that it takes. I did like the links to a musical instrument and found Kara Milovy to be one of the better Bond girls I have seen so far. She just seemed to have a bit more about her and not a massive pushover. The film does see Bond travel a lot chasing and trying to find out what is going on. While Dalton doesn’t seem to get many of the famous cheesy one liners he is engaging enough for me and I really like him as Bond. LOVE the opening scene to this one along with the car chase. Love how Dalton’s always complaining about the size of the cello! 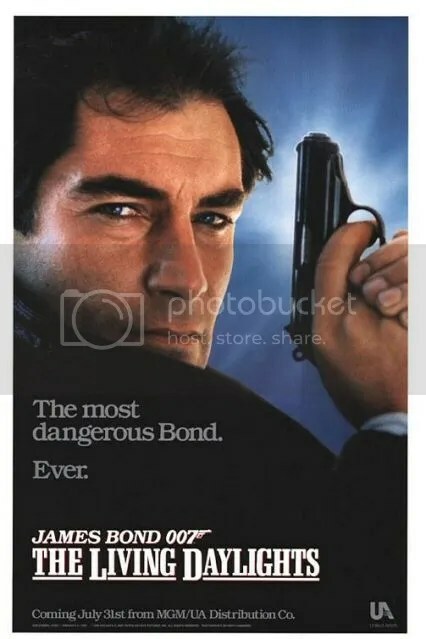 Definitely an underrated Bond film with a great plot. Really impressed with it! Now time for Licence to Kill! Have fun! Benicio Del Toro is amazing in Licence! So weird seeing him so young! Really good review, I loved the amount of grit that Dalton brought to the series. This is very much a spy story that feels a bit more grounded than some of the more outlandish outings for 007. As much as I love the bombast, I like to see a serious Bond every now and then. Thanks. Yeah it’s good to see different styles to the character so it doesn’t get stale! Exactly, every guy that has played Bond has brought something new to the part. That must be it and it’s always a big event when they announce the next actor to portray everyone’s favourite super spy. Big fan of this one. I love the Dalton Bond films, they were great, and he was a fantastic Bond. Only wish there was more of him! Yeah my thoughts exactly now I’ve finished his!